Arts Based Education Research aims to understand education through arts-based concepts, techniques and practice. Practitioners use a variety of arts-based methodologies to undertake their research and / or to communicate their understanding through such diverse genres as autobiography, narrative, poetry, visual arts, drama, dance, music and performance. There is a relatively new but rapidly growing body of both literature and shared practitioner knowledge which directly addresses concepts of art as research, the nature of knowing aesthetically and learning aesthetically, the processes of making, and the use of art as a platform for recording and analysing data. 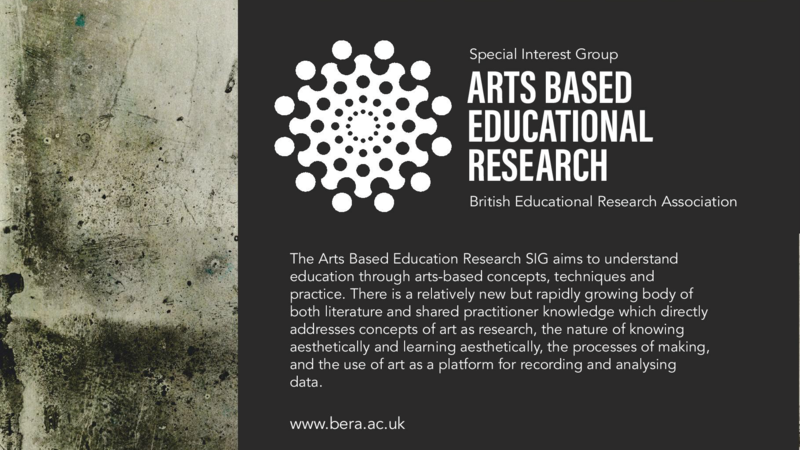 We intend the ABER SIG to provide a platform for theoreticians and practitioners working in arts, education and other fields to discuss, share and reflect on research practice and outcomes, both illuminating and problematical. It will provide a focus for other parties and individuals who may be interested in ABER but who have, so far, not ventured into this particular domain. It will welcome and encourage transdisciplinary knowledge-making with fields such as business and policy studies as well as the social sciences and humanities more generally. 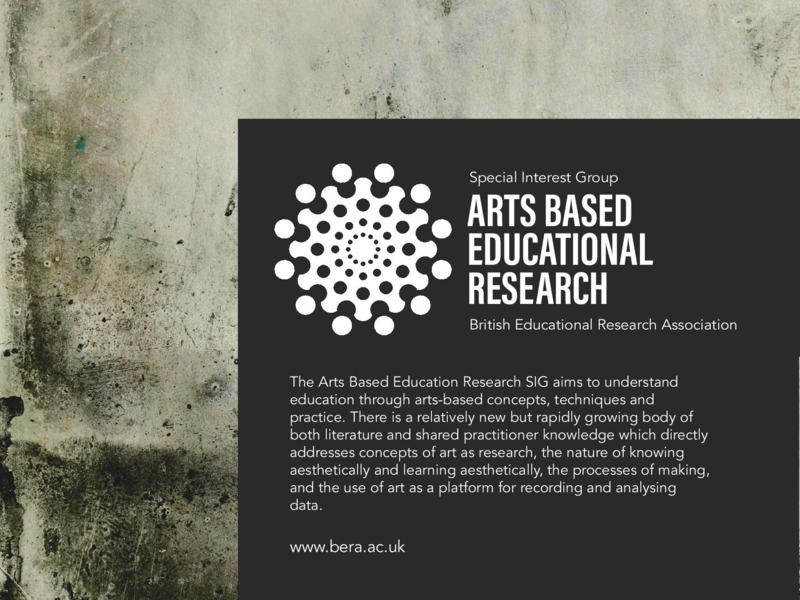 This SIG has a close allegiance to the workings of AERA and the bi-annual UK Arts Based Education Research conference in that it will explore the genres of arts and social science research – both their similarities and their differences – and promote the use of arts-based methods of disseminating educational and human science research. It conceives of ABER as an inclusive, democratic, participatory ethical form of inquiry in which research participants are consulted and involved in the process rather than being done to.